Microsoft Power BI team releases a Power BI Report as generally available. 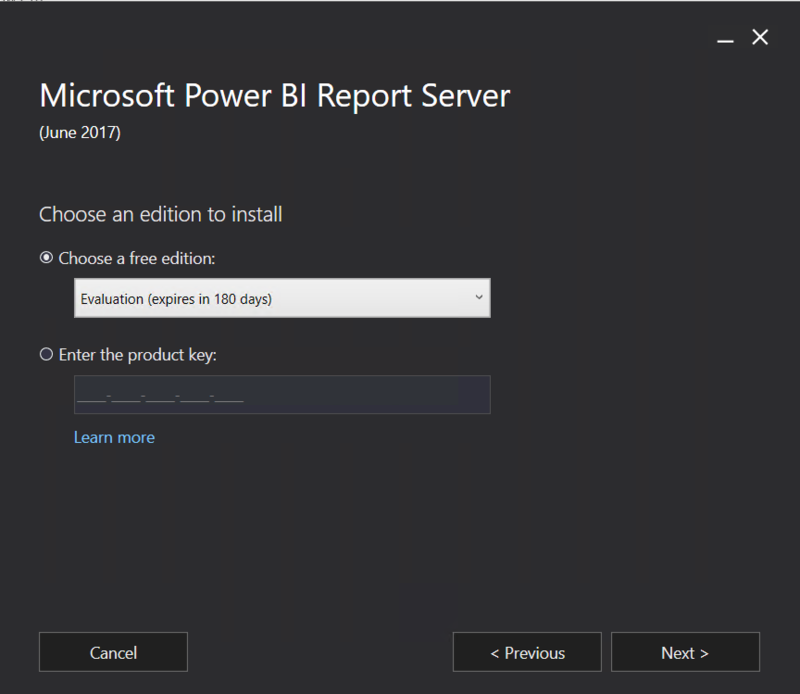 We can get this report server as part of Power BI premium but still, we can use the trial version for 180 days. 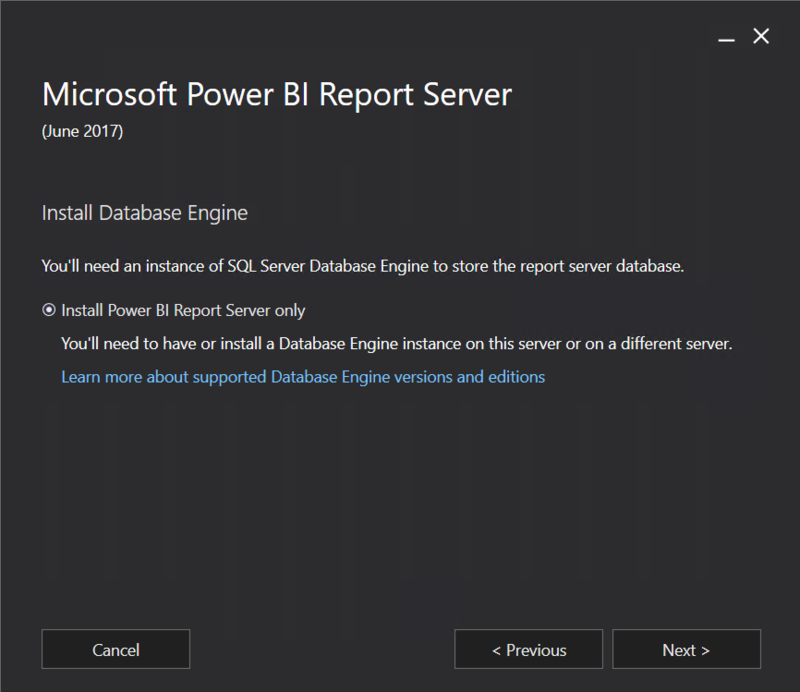 This post explains to you that how we can setup the Power Bi report server. 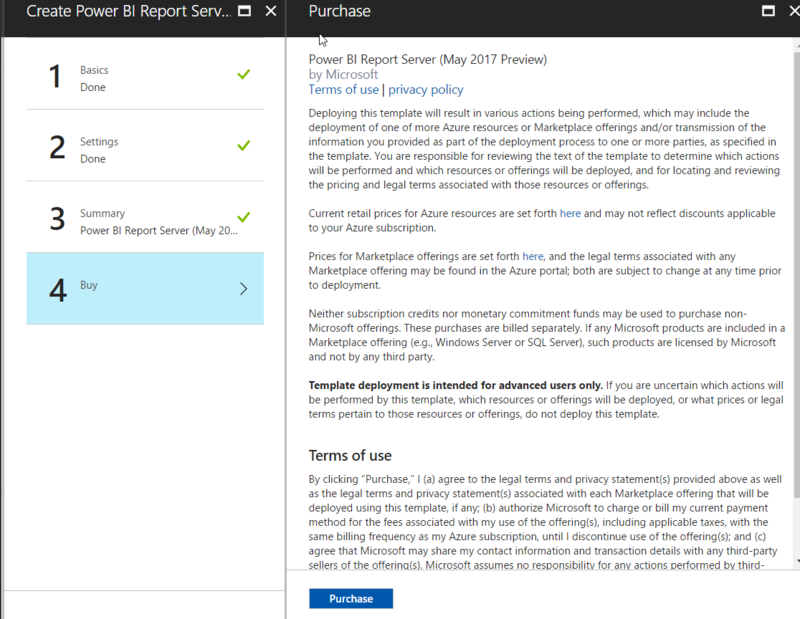 You can download the Power Bi Report Server here. 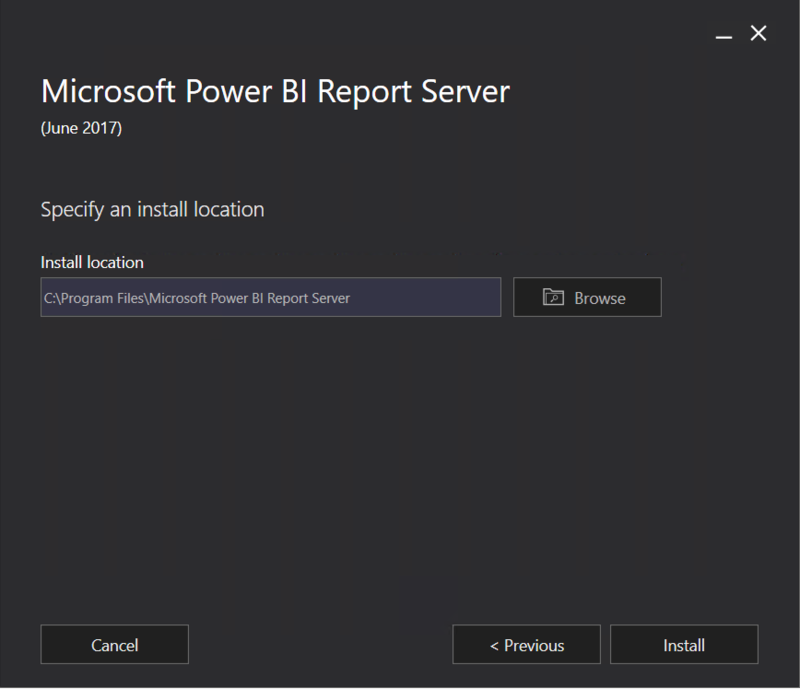 It is easy to install Power BI Report server in your system. Just follow the below screenshots and click Next and complete the installation. 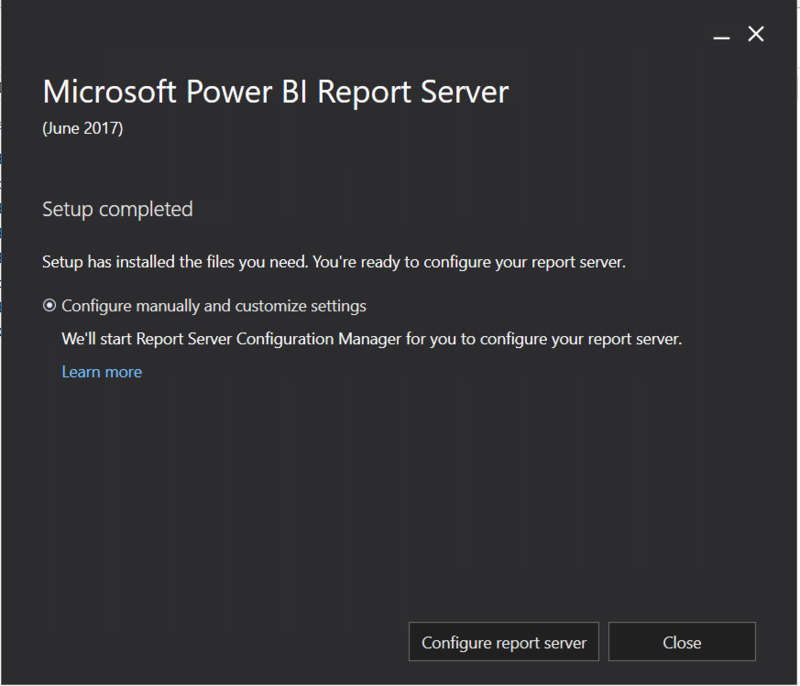 Once the installation is completed, we need to configure the Report Server which is nothing but our regular SSRS report server configuration but for Power BI. Configure as usual and test the web service and web portal URL. 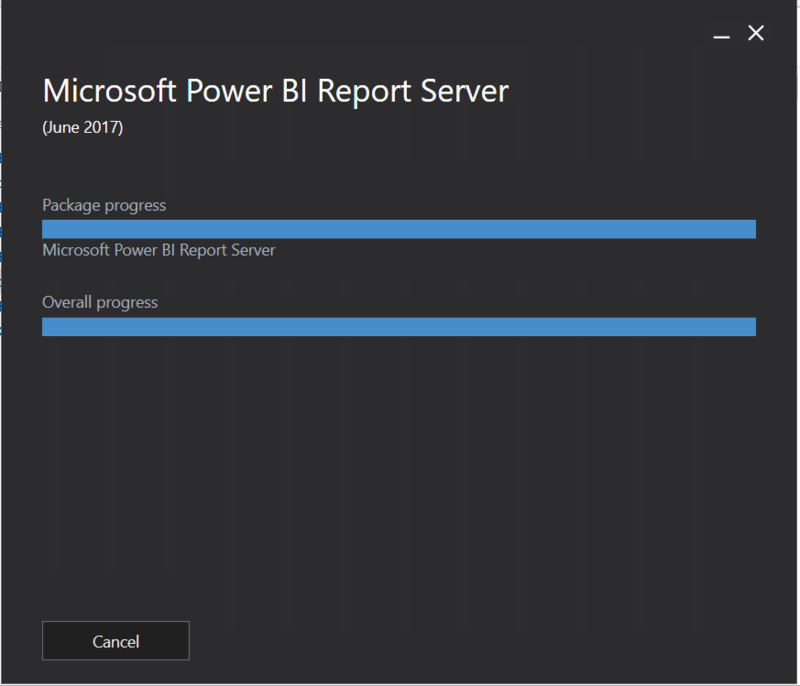 To start developing the reports, need to install the Power BI Desktop RS which is same like regular Power Bi desktop but with few changes. 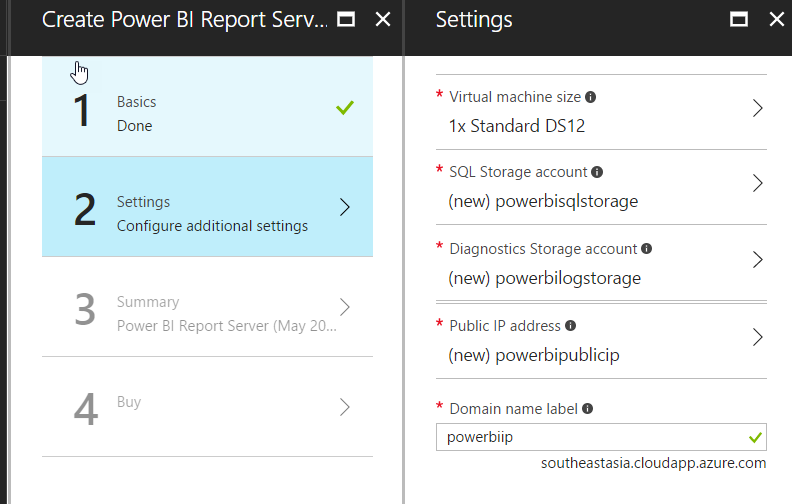 We can save the report in our on-premises portal with the PBIDesktop RS tool. 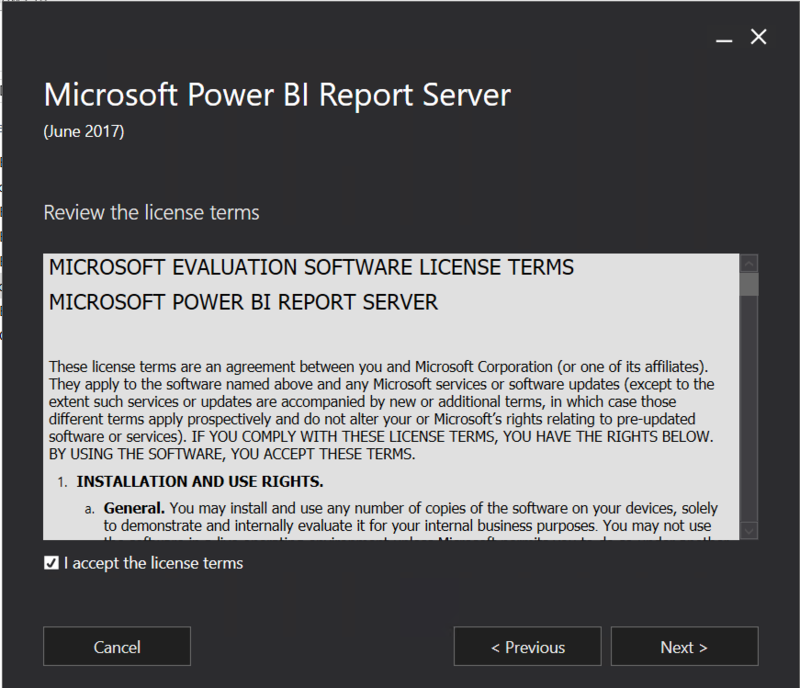 Check the general information about Power BI Report Server. Power BI service supporting many R packages as of now and it will increase in future. 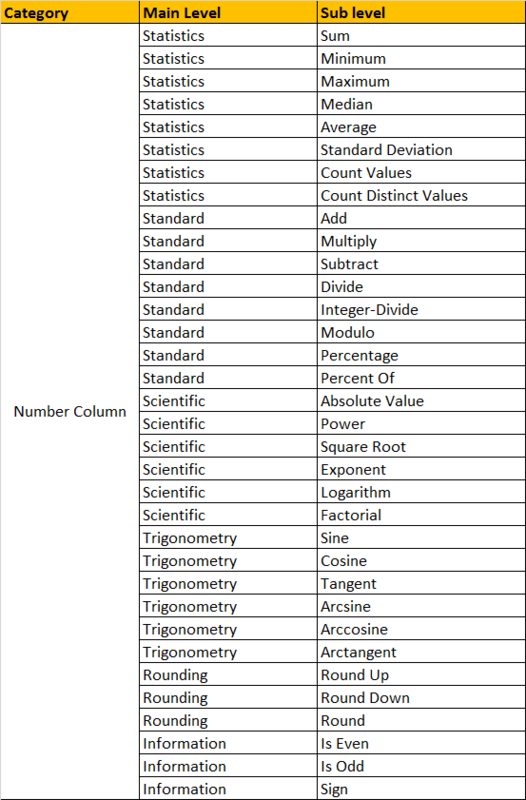 There is a misunderstanding that we can use these packages in Power BI Desktop R visual. We can’t use all the packages in the Power BI site because it includes the packages which can be used for R custom visuals development. Check the list of packages that Power BI Service supports, here. There is a package called “timevis” which is part of Power BI supported packages. We can use this package to build a visual to display a time range information. I used this package in R studio and got the below visual. You can use the below R script and try it by yourself. This package requires many dependent packages which you can identify while installing the R scripts. If any dependent packages are missing then you should install those missing packages and finally run the R script. 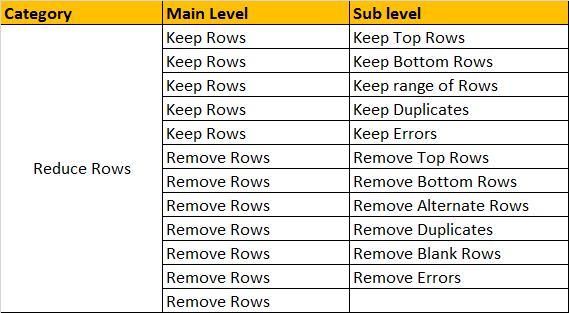 It is easy to identify which packages are supported in Power BI from the list. Prepare your R script from any of the packages and make sure to check the supported package list and run the script in R studio. If your package producing a visual and make sure that visual is displayed under plot section of R studio. 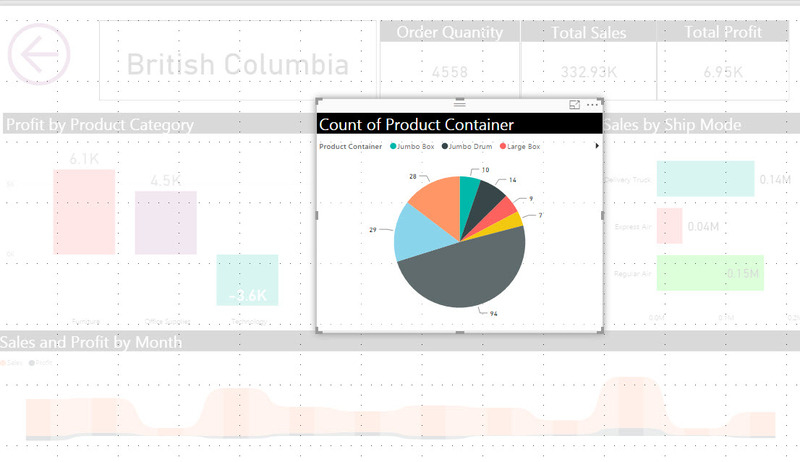 If you see the visuals in plot section then those packages can be used in Power BI. In our example, the visual is displayed under viewer section which means it is using HTML viewer which is not yet supported by R visual in Power BI. Microsoft SQL Server Reporting Services is the product which provides solutions to all the business enterprises. 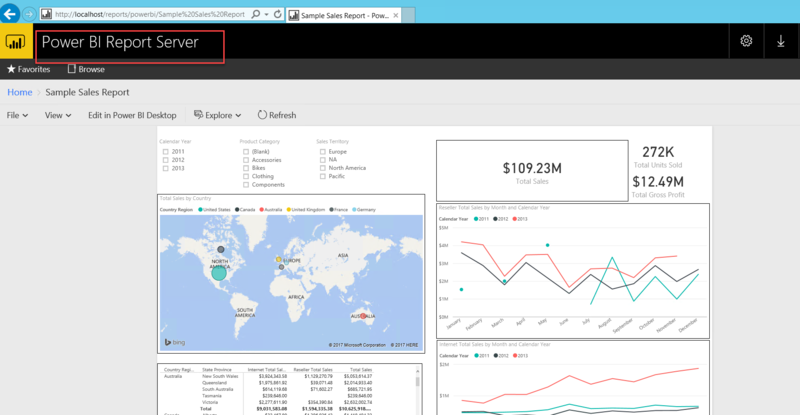 While it was in peak, Microsoft released another new BI tool which is nothing but Power BI. Now Power BI is leading the Business Intelligence Industry. As it is a cloud-based service, business users were not able to use that tool for their business solutions because of security concerns. They were waiting for on-premises based Power BI server. Now the wait is over. 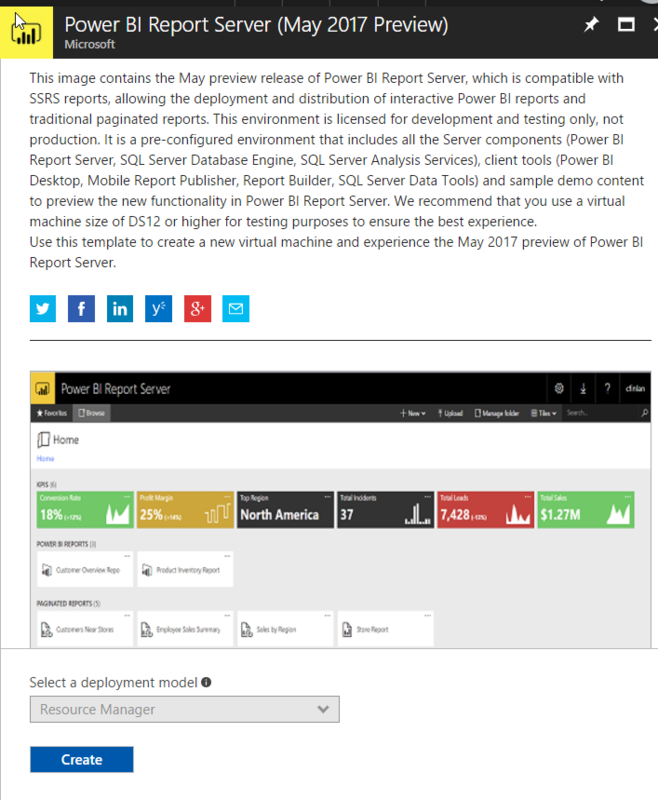 Microsoft released Power BI Report server which can be installed and configured for on-premises business solutions. 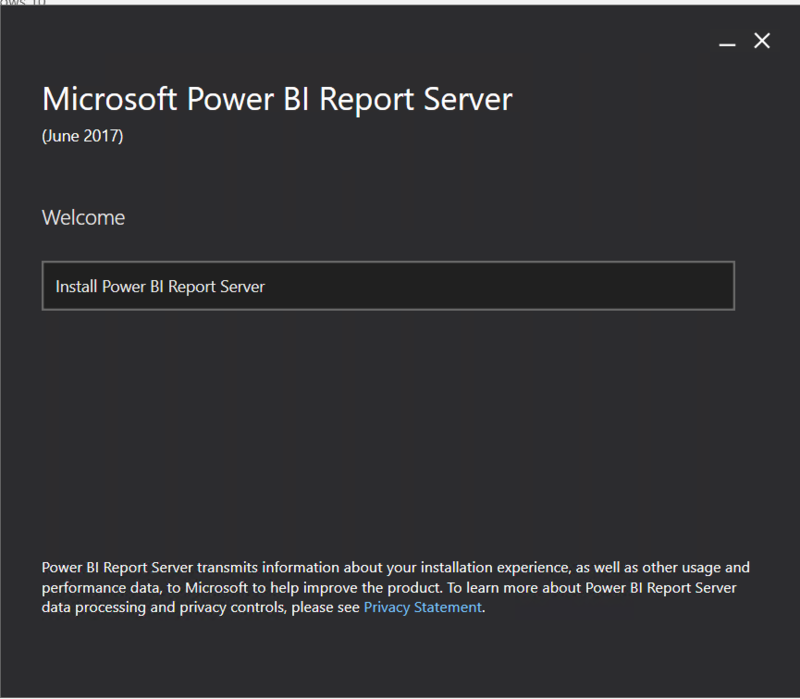 Power BI Report server is available for preview, you can download, install and experience the on-premises based Power BI Report. As it is very new, it supports only analysis services as a source but in future, we can expect the same source connectors as like in Power BI cloud services. 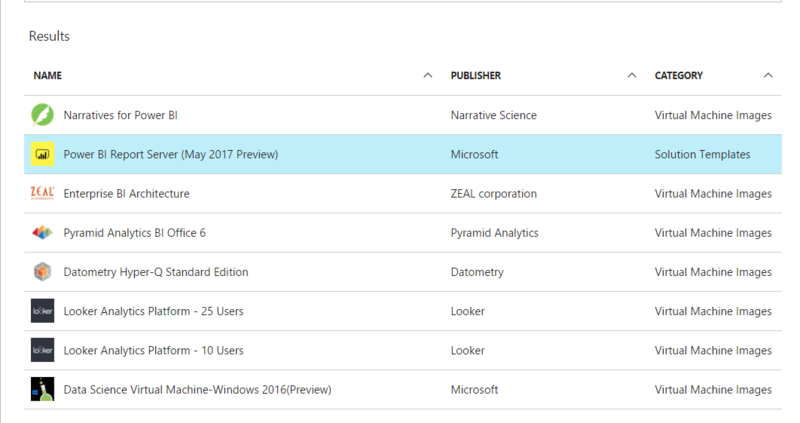 This blog post explains to you that how you can experience the Power BI Report server using the Azure VM template. 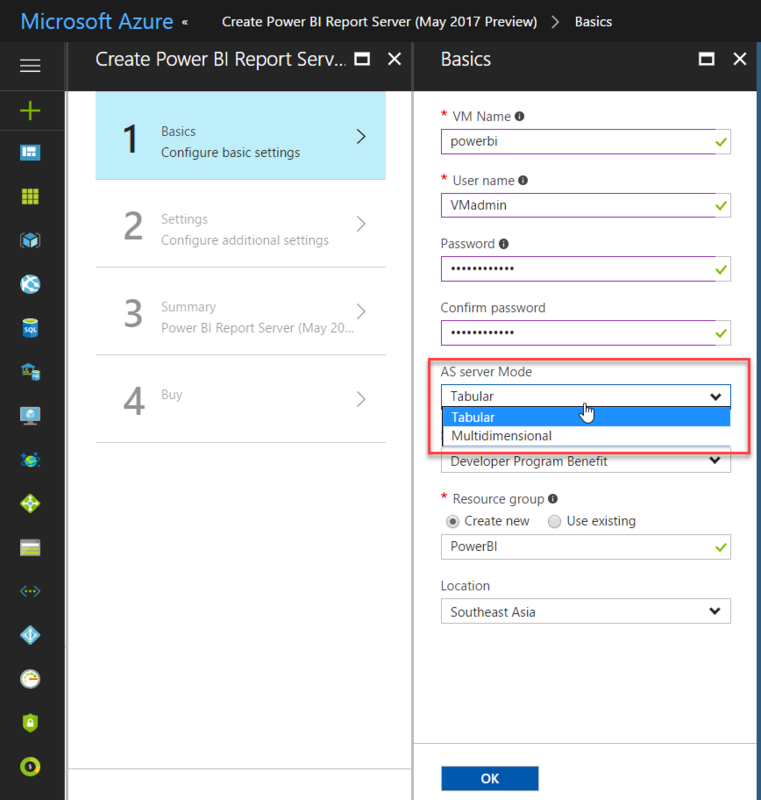 Follow the below steps to spindle up Azure VM with Power BI Report Server on it. Step 4: Add the VM name and credentials and choose which AS server you want to use from the drop down. Step 5: By default, it using the below settings. In case, if you get an error message then change the name of the storage. Step 6: At last, you need to click the purchase button. It will create and deploy the Power BI machine.Once the machine is deployed successfully, connect the machine and you can see the Power BI. 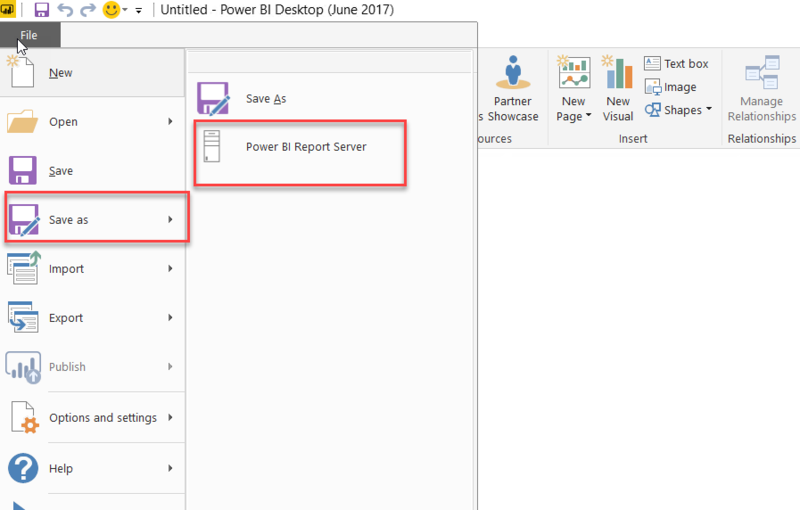 Once the machine is deployed successfully, connect the machine and you can see the Power BI Report Server.It also adds an option to create Power BI Report from the portal itself. 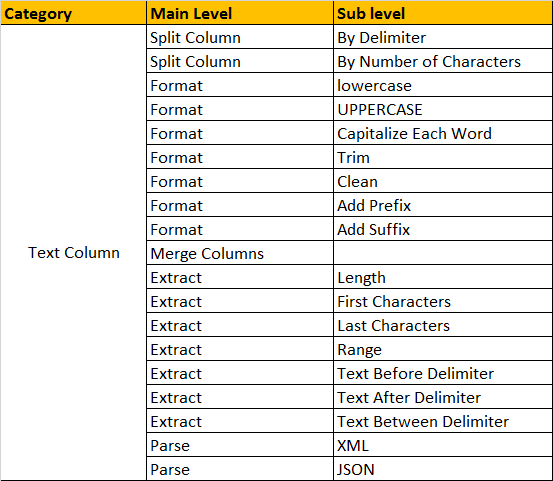 Power BI Desktop supports Power Query Language which is nothing but M language for data modeling. 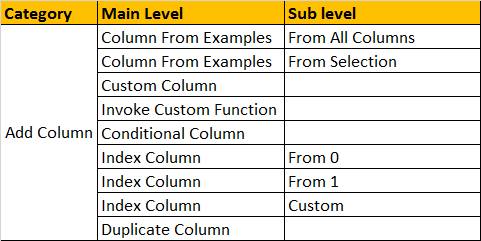 This article explains how we can create date table with all the necessary columns. 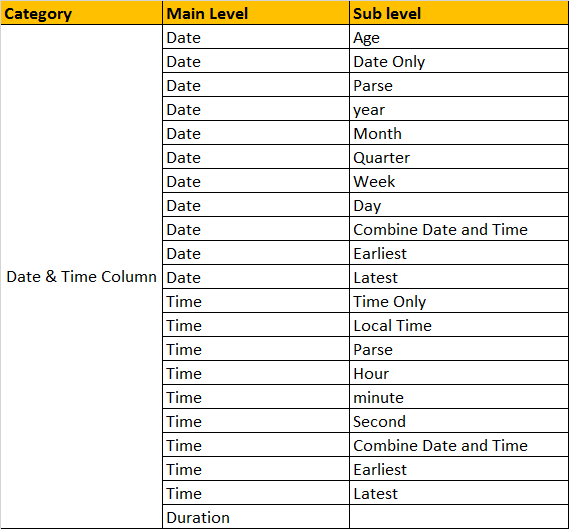 Generating date table is easy in Power BI as we have different methods. Refer my below article to generate date table manually or with single DAX query. It asks for start and end date. Once entered the date then click Invoke, it will generate the query. 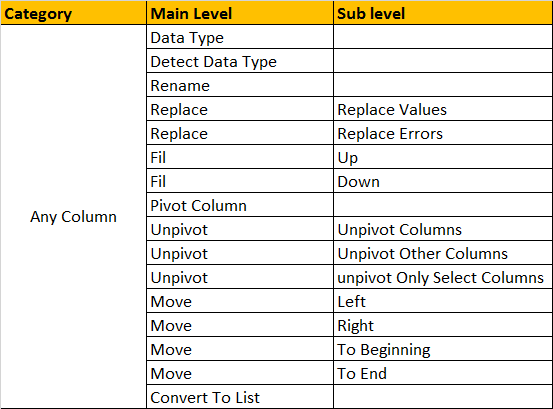 Identifying the Leap is very simple logic, this post explains that how you can identify a year which is a leap year or non-leap year in Power BI. Consider I have a year column on my table. If not then use the Year function on the data column and get the year column. Days between Year Start Date and Year End Date. Use the below DAX expressions to identify the above values.